Our company has focused on competitively serving large multinational corporations for the past 27 years. We are now extending our expertise in sourcing the highest quality promotional and incentive products to your organization. We have access to over 900,000 products from over 4000 manufacturers. 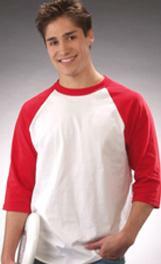 We have the largest selection of apparel on the web 8000+ products. For larger quantities if you have the time, we with our Partners can *Directly Import* from overseas. Please ask for our Special Orders department. Purchases are by Credit Card or by authorized Purchase Order ( subject to approval of credit ). Production Times are usually 1-3 weeks after art or sample approval. ( if you need a product sooner please call). Samples are Free or Refundable on most products not all. Freight charges are additional. Our products come from over 800 warehouse locations across the nation. Many of our products will link to Manufacturer's Partners external Web Sites in a Worldwide Web Frame. On these sites when a manufacturer shows a Price (not all do) that price will usually be a List Price before we give you our usual discount (this will allow you to locate the right product, at the right price (close-outs and specials). Click on our Frame Web to send us an email request for Best pricing. If we can help, please email us at info@Worldwide-USA.com or call 1-800-280-4635. We can create a *Free Company Stores* for your company or organization.